I couldn’t resist responding to the lovely Carol Adriana Estrella‘s post on Facebook this morning. Visit the very hip and informative blog Is Ok Not To Be Ok to view some of the varied responses (including my abridged one). Thank you, Carol Adriana Estrella for starting the conversation today. 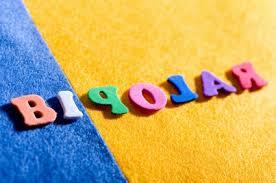 I hate the word, “bipolar.” It’s ugly, an overused throwaway word. Call me whatever. I’m a ‪#‎Whatever‬ if you must. Jackie works too. I wrote The Vast Landscape, the prequel to Georgia Pine at a dark, scary time in my life. Harrison, the brash heroine, was someone tangible I could cling to. She gave me reason to get up, to go on, to fight, a much-needed respite from what was happening in my real, everyday life. I made the conscious decision not to write about manic depression, the disease that has disrupted every neuron firing through my beautiful, chaotic mind. 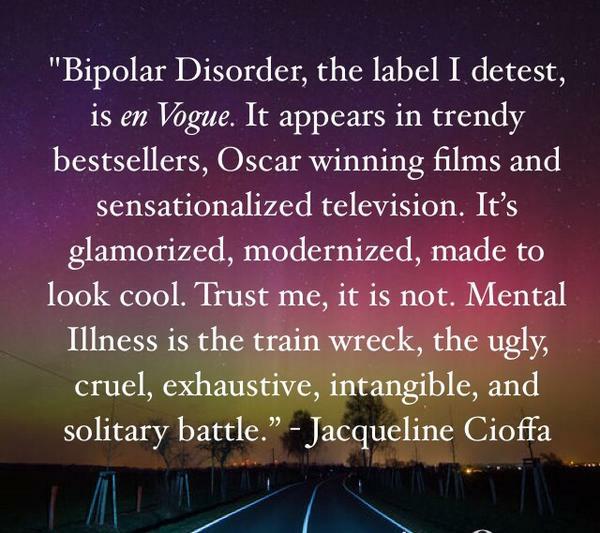 Bipolar Disorder, the label I detest, is en Vogue. It appears in trendy bestsellers, Oscar winning films and sensationalized television. It’s glamorized, modernized, made to look cool. Trust me, it is not. Mental Illness is the train wreck, the ugly, cruel, exhaustive, intangible, and solitary battle. It does not discriminate among rich, poor, smart, stupid; it brings grown men to their knees, ripping whole families apart. Writing The Vast Landscape freed me to live my dreams on the page. Harrison is I, I am she, mixed together so deeply the lines disappear. The outlines blur, intentionally. Was The Vast Landscape reality or fantasy? That is for the reader to decide. We are all disabled, broken parts, lost individuals, trying to find our way. Truth is what you know, here and happening now. There is only love and love is the bravest character of all. Harrison is the voice in our heads, asking the important questions. Where do I fit? Why am I here? Will I love, be loved? We are born with a fixed expiration date, yet we carry on, walking this earth the best we can until we’re pixie dust. Cherished, kept alive in memory and yellow parchment, we become precarious, aged photographs in a cardboard box. Lives touch, intersect in the most unpredictable yet meaningful ways. The essence continues because you do. Harrison leaves the door open a crack. I seize the opportunity to revisit my whole, healthy self a bit longer, live in the mystic beach home I adore, dream eyes open. Hope is our greatest asset. To choose hope against the worst possible odds is the true measure of life. Excerpt From: Jacqueline Cioffa. “Georgia Pine.” iBooks.